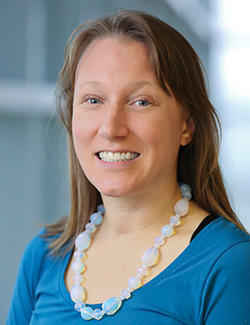 Tessa Venell manages the Brandeis University research website, creating and updating information about funding opportunities, and creating content covering Brandeis faculty and staff work and its accomplishments. She coordinates presentation of material on the research website with other university communication activities. Additionally, Tessa assists faculty, postdocs, and grad students across campus to develop research ideas and identify potential sources of external support. Prior to Brandeis, Tessa worked as a grant writer at the Ivy Street School, a high school for students with brain injuries and other neurological challenges. Tessa also worked at Harvard University’s Kennedy School in the Ash Center, and in public media at PBS International, where she supported the licensing of PBS films to international broadcasters. As an undergraduate at Brandeis, her work focused on the emerging Chinese environmental movement. In 2008, she produced an environmental film in Beijing, “The Green Reason.” Tessa is writing a book about her recovery from a brain injury she sustained after a severe car accident left her in a coma. She holds a BA from Brandeis University and is pursing an Master of Public Policy with a concentration in Health Policy.